Headline, 2005, Hardback in Dust Wrapper. Condition: Very Good — in Very Good Dust Wrapper. Pages lightly age-tanned with one leaf slightly misbound and protruding slightly at the top edge of the block. A pleasant copy overall. 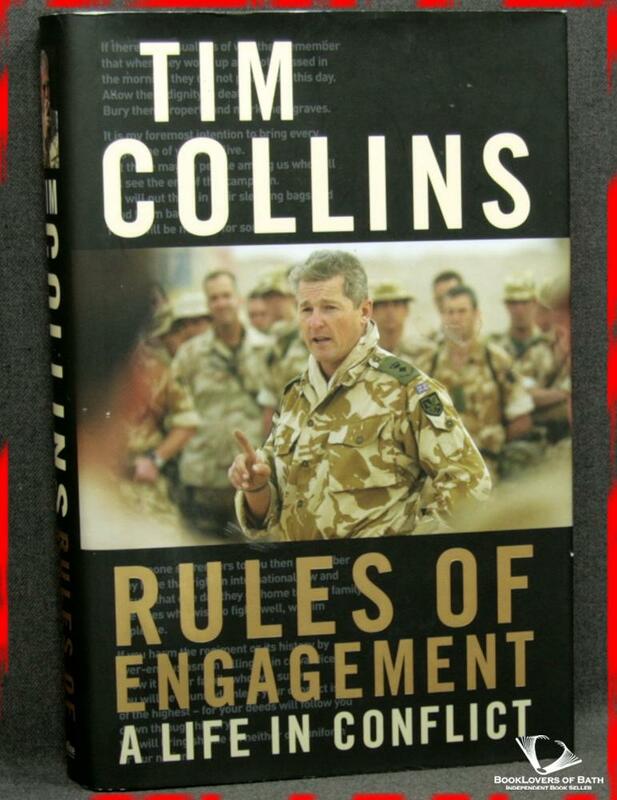 From the cover: “From the moment Tim Collins’s speech to his men in Iraq was made public, this soldier-thinker became a hero and an inspiration to world leaders and infantrymen alike. To a public confused and suspicious about the motives for war, he at last offered some explanation for it and inspired a mood of optimism and humanity that has since been sadly lost. And yet, only two months later Collins was pilloried by two national newspapers and accused of war crimes. But these tumultuous events are only part of his story. 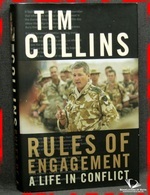 Rules of Engagement begins when he takes command of the First Battalion of the Royal Irish Regiment in the immediate aftermath of its devastating experience during the hostage crisis in Sierra Leone. With Tim Collins, 1 R Irish has combated the Loyalist murder gangs in East Tyrone, held the line between two communities during the Holy Cross dispute in Belfast and survived ambush in the deserts of Iraq. Through his eyes, we are given a frank and compelling insight into the realities of warfare on the ground and in the air. Size: 9½" x 6¼". Black boards with Gilt titling to the Spine. 406 pages.